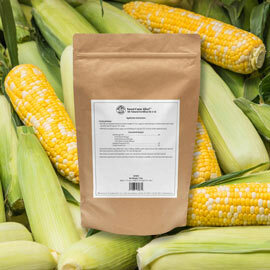 Q. I'm in USDA Zone 6a; is it possible to get two harvests of corn in a season with any specific varieties? A. You should be able to get a few more than that, Doug. 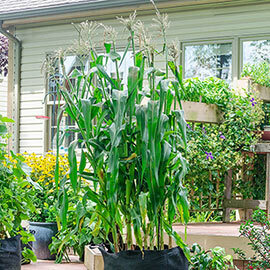 The best way to grow sweet corn is in "succession", planting more of the same variety—or at least the same basic 'type'—every two to three weeks, so that when you've picked one patch clean, the next one is ready to harvest. There's no way that you—or most people--would have nearly enough time to do two complete back-to-back runs. Most of the earliest maturing sweet corn are rated at about 75 days; that's 75 days from when the seeds sprout in warm soil to when the first ears are ripe. If you waited until the first run was done to replant, that would be 150 days—and Detroit is lucky to get 100 sweet corn growing days. So: If Doug does everything right, how many runs are reasonable to expect? Let's talk it out. The 'last average frost date' in his area is around May 15, but the soil and nights will still be much too cold up there for corn at that time, so let's say he plants the first run on June 1st and it's a 75 day variety. That would put his first harvest in the middle of August. Let's say he plants a second run on June 15th. That run is going to come in right after the first—before the end of August—because it'll be growing in the hottest, sunniest part of the season and won't need the full 75 days. A third run planted around the first of July is probably going to take a little longer than 75 days, because it'll be maturing in cooler nights and shorter days. Let's say this one is ready for picking mid-to-late September. Folks in warmer climes can get four runs easy, but I'd be cautious up in chilly Detroit, where the soil is going to be really slow to warm up in the Spring. Although Doug might be able to harvest that first run a little earlier if he starts the seeds indoors and puts the plants out a week or so after the seeds sprout. In fact, if he's growing on a small scale, that's the smart money. And yes—I said to start sweet corn indoors; it's remarkably easy. You fill biodegradable pots' made of peat or newspaper with seed-starting mix, put them on a big tray, keep filling the tray with water until the mix is saturated, plant a seed in each one, cover it with a little more mix, cover the whole thing with something like Saran Wrap and then place it in a warm area of the house or—ideally—on top of a seed-starting heating mat. Remove the cover as soon as the sprouts emerge, give them good light and then plant them outside ('pots and all') as soon as all risk of frost is over and the ground is nicely thawed. Anyway—let's get back to why I said that Doug should only plant a single variety—or type—of sweet corn in his garden. This is very important. There are several different 'types', and if the pollens of some different types cross, the harvest can be ruined. 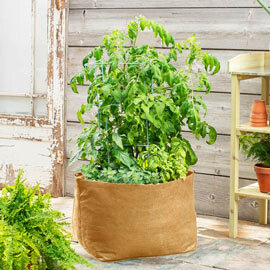 But you can plant four different named varieties, as long as they're all in the same type. OK? "Normal sugary" varieties—sometimes designated by the letters 'su'. These older varieties are said to have the best old-fashioned sweet corn flavor, but they don't 'keep' well; their sugars convert to starches soon after they're picked. "Sugary enhanced" varieties are designated by the letters "se". They're a little sweeter in general and hold their sweetness longer after picking. "Supersweet" varieties are designated either "sh2" or "shrunken" (because the seeds look all shrunk up). They're the sweetest of all, and hold their sugars the longest. So, go with all 'supersweet' types—right? No—for a couple of reasons. First—they are the sweet corn type that MUST be grown in isolation. If another type is pollinating anywhere nearby at the same time, the supersweet harvest is at great risk of being tough and starchy; totally ruined. Most experts feel that the 'sugary enhanced' "se" types are the best choice for home gardeners, because they produce good yields, are nicely sweet, and hold their sweetness well. In an article we ran in ORGANIC GARDENING magazine back when I was the editor, a Pennsylvania Extension Agent we quoted called them "the best of both worlds". Now: some varieties also have what's called 'cold soil tolerance', meaning that the young plants will do well even if the soil is technically a little too cold. If you live in a Northern area and want to start the sweet corn season going as soon as possible, look for this attribute in catalogs or seed packet descriptions; or ask your local Extension office for a list of their recommended varieties. And finally, many gardeners are challenged for space; so: how many plants do you need to have growing in each run for good pollination and nice full ears? The classic minimum number you hear tossed around is 36, but planted in blocks as opposed to rows, so that each developing cob-to-be receives the maximum amount of dropped pollen. So rather than a long row of 36 stalks, plant 6 rows of 6—about a foot apart in each direction.